A few months ago I joined the 2017 Flip Challenge with the goal of making $20,000 this year buying stuff to resell. In my first month, I made $2,710. In my second month, I was in another city and had health issues so didn’t do anything. In my third month I made almost $9,000 and now this month, I made over $10,000 (I’ll share what I did at the bottom of this post). This is something I have done for years and this was not my first $10,000 month. I stopped reselling when life changed for me, I moved a bit and it became harder. I find it is such an easy way to make extra money though. 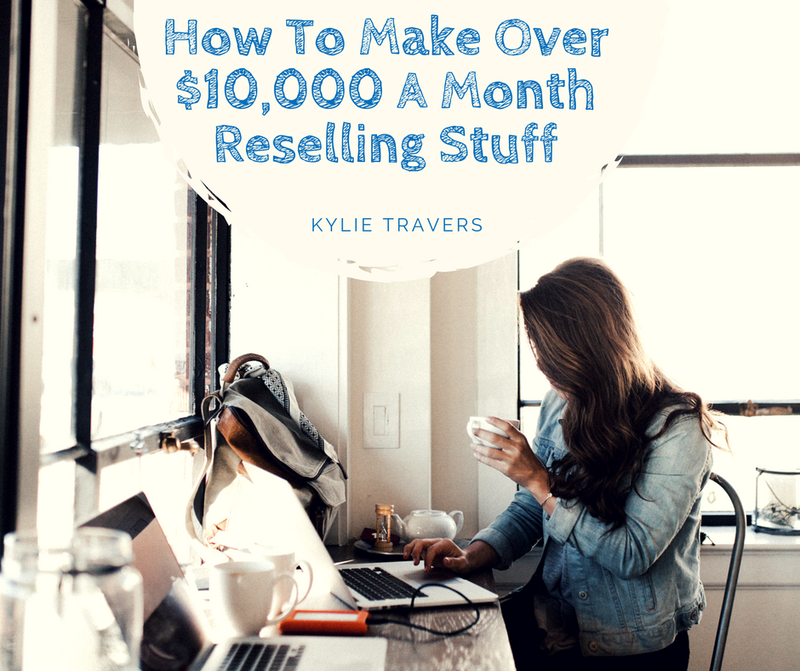 I spend only a few hours a month on it, it is a side gig not a full-time gig for me, yet if you wanted, you could easily make it your full-time income. Click here to buy the ebook now for only $9.95! It’s an easy to read and only $9.95. 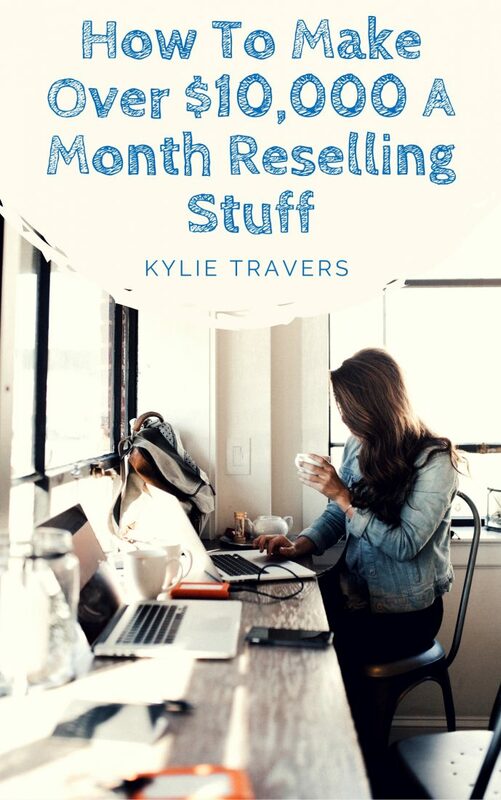 I have all my tips and tricks in it, plus have a Facebook group where you can ask me anything! Some of the content in this book is specific to Australia, as is the spelling! However, the tips can be implemented anywhere. Click here to buy it now for only $9.95! I have shared a lot of tips online about how I do it, but here it is, all in one place for you. Check it out and let me know how you go! As for how I went this month and what I did, it was a mixture. I listed all his gear, organised pick up or postage and took a commission for each sale. He photographed it all, wrote the description for me so it was mostly fairly quick and simple. It was slightly harder because I didn’t know a lot about it. I made more on almost every single item than he had listed as his sale price (some items were a few hundred more), so he was happy. We have around $6,000 worth of items left still listed, with another $1,500 to go up. I regularly sell clothing, this month I scaled back a little and only sold a few items. I sold some books this month and restocked at my local op shop this week. This wasn’t one I had considered, it’s a little left of field. I have a few blogs I have merged together over time, articles no longer relevant to my site etc. I managed to sell some of these (I do freelance writing on the side as well, which is separate to this.) These were sold in a bulk pack to a company for them to use over the coming year. My freelance writing rates are much higher and these articles are not ones I loved, nor did they take long to write. They were from about 5 years ago. Since selling websites is one of the things I do, I feel this fits. Old Tupperware, beauty items, home decor and other bits and pieces I have picked up that I think would sell fall into this category. Never before have I experienced so many people not turning up, turning up late or asking a million and one questions. Usually, sales are quick and easy for me. This month I spent more time on selling my friends gear than I spent selling anything else. So many people did not read the descriptions and asked questions already in there. It hasn’t put me off being a reseller but did make me rethink the decision to allow pick up items. My favourite thing to resell has been websites. Next month I plan on buying a few (I have my eyes on some), then holding them for a couple of months as I make some changes, get them making more money then resell them. This will be my ‘reselling’ project for the next few months. Also hoping to finish the sales of the photography gear we have listed plus sell the rest of the rockabilly items I have listed. Lastly, for this month, my daughters are getting involved! We went to the op shop, they had $10 each and picked what they wanted to resell. They have it listed and they have the option once they sell these items to either buy more items to relist or keep the profit.